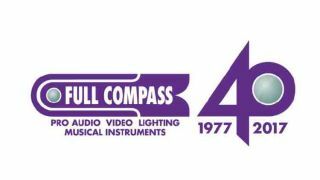 Full Compass is partnering with Synchrony. Full Compass customers may now apply for the Pro Buyer Card, a new financing option for products and equipment. Qualified customers will be able to purchase Full Compass gear and repay the amount over time. Synchrony delivers customized financing programs across key industries including music, health, auto, travel, home, and banking. A dedicated account team from Synchrony will service Full Compass customers. “As a company that continuously strives to fulfill all customer needs and expectations, we took note when we heard that additional financing choices would be appreciated for the purchase of Full Compass products and equipment,” said Craig Johnson, CEO of Full Compass. “We always want to help our partners meet their customers where they choose to transact,” said Courtney Gentleman, Synchrony senior VP and chief marketing officer of payment solutions. Customers will be able to use the Synchrony-backed Pro Buyer Card in-store and online.